Benefits: Acts as an appetite suppressant and reduce the cravings for food in some users resulting in a reduced daily calorie consumption. Negatives: Some users report side effects, not available to all. Shipping: Available via prescription only. Contrave is weight loss medication produced in the US by Orexigen—a biopharmaceutical company that specializes in producing anti-obesity medicines. Contrave is their most recent product and the US Food and Drug Administration (FDA) has approved it for prescription use, but the tablets have the potential to cause a number of worrying side effects so the medication’s prescription-only status would appear to be warranted. What is Contrave and how does it Work? 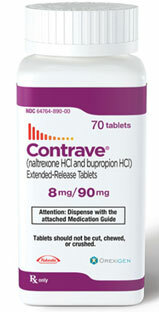 Contrave is a weight loss medication designed for overweight/obese adults who have weight-related medical problems. It must always be used alongside a low calorie diet and regular exercise, and it is worth noting the FDA has only approved its use as a weight loss medication when it is used in this way, not as a stand-alone weight loss initiative. The formulation works by supressing the appetite. Appetite suppression alone usually does not ensure weight loss, but appetite suppressants can help prevent people feeling hungry, which can help them stick to their diets and consume fewer calories. 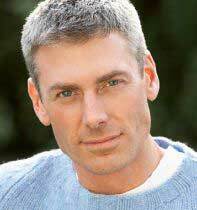 So, when used in conjunction with plenty of calorie-burning exercise, results can be good. Contrave contains just two active ingredients, but the manufacturer’s website fails to provide the inclusion rates. Bupropion Hydrochloride: A compound that is commonly used to treat depression and has also been used to provide support to people who are trying to stop smoking. It works by acting on specific areas of the brain. The test subjects in one study, conducted at the Duke University Medical Centre, Durham (USA), achieved a weight loss of 12.9%, most of which was body fat. Naltrexone Hydrochloride: Naltrexone’s abilities as a weight loss provider are far from proven, but its function here is to support the main ingredient (bupropion), so it’s abilities as a stand-alone agent are not such an issue. 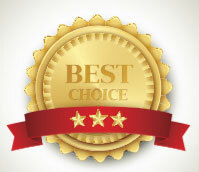 Contrave has been subjected to two separate clinical trials. All of the volunteers who took part were overweight and had at least one medical problem. The average weight loss recorded from the first study was 5.4% (1.3% the placebo group). The average weight loss recorded from the second study was 8.1% (4.9% the placebo group). The maximum dosage is 2 tablets in the morning followed by four in the evening, but patients must work up to this over a period of four weeks. Week 1: One tablet taken in the morning. Week 2: One table in the morning + one tablet in the evening. Week 3: Two tablets in the morning + one tablet in the evening. Week 4: Two tablets in the morning + two tablets in the evening. Tablets must be swallowed whole and Orixigen warns against taking Contrave with high fat meals because this may increase the likelihood of seizures. The manufacturer’s website bears the following warning: “CONTRAVE can cause serious side effects of suicidal thoughts or actions.” Orexigen states such side effects are possible due to the inclusion of bupropion, which has a history of producing such side effects. The disclaimer further suggests the dangers only relate to the first few months of treatment, and points out not every user will feel this way, but that will be of little recompense if the an altered state of mind results in fatal consequences before the first few months of treatment have run their course. Bearing this in mind it is easy to see why a doctor’s supervision is necessary and anyone who is prescribed Contrave should inform their doctor straight away if they begin to experience any negative thoughts. Customer feedback suggests the product works better for some users than others. In the US Contrave is only available via a doctor’s prescription and it seems likely that the governing bodies of other countries will apply similar restrictions. Contrave is likely to be prescription only in many countries including Australia – our preference is for a commercial diet pill called PhenQ. 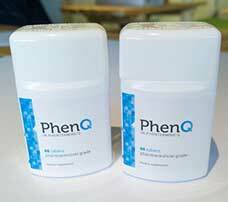 Released in 2015 PhenQ is arguably the best of its genre – a dual action appetite suppressant and fat burner.